Flying drones is mostly a fun experience. However, not everyone wants to fly a drone themselves. Today drones are incredibly popular and there are many uses for drones, such as toy drones, camera drones for photography, racing drones. And of course, there are people who like drones that can follow them automatically. Having a drone camera that follows you has a special appeal for people in the filming and videography industry. The pilot doesn’t have to hold a controller to control the drone itself and can lock the drone’s direction on a specified moving target. First of all, let’s start with a brief description of what the Follow Me mode is. This feature is especially useful on videography and photography drones because it allows for a bit more freedom in the creative realm. The Follow Me mode enables the flyer to lock the drones movement and direction on a specific moving target, so the flyer does not have to spend time and effort worrying about the navigation of the drone. This is usually done through auto-pilot function combined with sensors and target and lock software. This top-of-the-line technology allows flyers to focus on videography and photography while the craft follows the subject. There are many automatic follow drones available on the market today and finding the right auto follow drone isn’t a job that should be taken to lightly. There are so many variances in quality today so you should factor in price, special features, durability, battery life and what accessories and parts might be available in the future when looking for a drone to fit your needs. Cheerson is one of the most famous drone manufacturers. In 2015 they have released Cheerson CX-22, one of the most popular drones in the low-cost market. 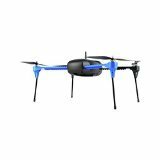 This drone has a Follow-Me function and a better dual GPS for more accurate positioning and stability. The Cheerson CX-22 is equipped with a 1080p resolution camera with 5.8GHz live video transmission directly to a 7” monitor on the remote controller. The drone is powered by a powerful 5400mAh Li-Po battery and has a flight time of about 25 minutes. The CX-22 also has some other interesting specifications, such as incredible 800 meters control range and payload capacity of 500 grams. With a weight of 700 grams, the CX-22 is above average in weight. This drone is also above average in size, with a wingspan of 590 mm. As far as color goes, the Cheerson CX-22 is only available in white. 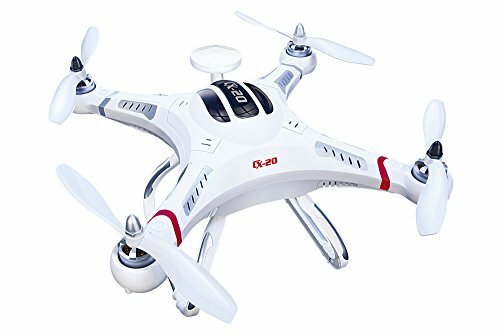 This drone also includes some very useful features like Auto Positioning System, Dual GPS (one on drone other on transmitter), GPS fixed set high, Automatic Landing and Take Off, Circle Hovering, Out-of-Control return and One-Key Home Return. All of this make the Cheerson CX-22 one of the best and most affordable top-quality auto follow drones available on the market today. Camera: iLook+ 720p and it also supports GoPro Hero 3 and 4. The 3DR Iris + is another incredibly powerful and autonomous drone aimed at videography and photography of sports events. It is manufactured by 3D Robotics, a well-known manufacturer in drone industry. The 3DR Iris + is very simple to use and even a newbie at aerial videography and photography will benefit a lot from this drone. 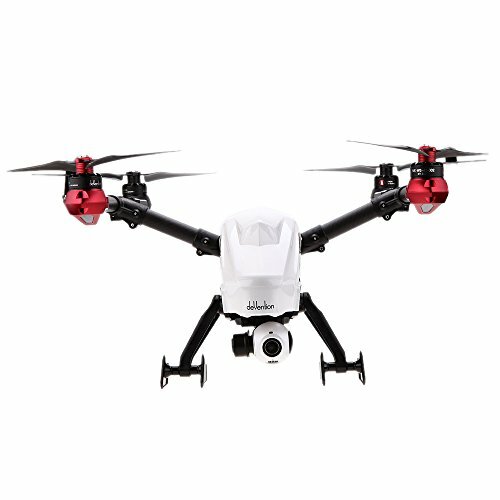 The 3DR Iris + features Mission Planner (auto-pilot), high-performance 32-bit Pixhawk autopilot system and internal GPS. The GPS enables pre-programmed professional-grade mission capabilities, such as scientific studies, scripted cinematography, mapping and other applications where repeatable flight plans are needed. This drone can be remotely controlled via iOS or Android device (tablet or Smartphone) through an application. On the other hand, if you need instant accurate flight data you can control this drone using a nine-channel radio transmitter with on-screen telemetry. You can also use the advanced 3PV Follow Me mode if you need non-manual flights. This feature turns Iris + into your own hands-free camera drone. This drone comes with an iLook+ camera built by the manufacturer itself. It also supports both GoPro Hero 3 and Hero 4. The 3DR Iris+ is powered by a 5100 mAh battery and has a flight time of about 22 minutes. It can also carry about 400 grams in addition to the weight of its built-in component. With a weight of 1282 grams, the Iris + is one of the heavier drones in the market. This drone is also above average in size, with a wingspan of 550 mm. The 3DR Iris+ is pretty fast when compared to most drones and has a top speed of 22.7 m/s. As far as the color goes, the 3DR Iris + is available in blue and black. The Walkera Voyager 3 is all-in-one aerial filming platform. This drone is equipped with HD 4608 x 3456 megapixels 1080p 60 FPS camera. This camera can capture photos and record very quality videos. The Voyager 3 is powered by two 3000mAh batteries and has a flight time of about 25 minutes. It can carry 320 grams in addition to the weight of its built-in components and you can operate your drone up to 1,000 meters away from you. It is important to note that this drone’s arms have a modular design. This means that they can move and acquire different positions, which can be very useful for both amateur and professional aerial filming. The Voyager 3 has a wide set of powerful and important features such as One Key take Off, One Key go Home, GPS, One Key Landing, GLONASS Dual-Navigation System and the most important Following Mode. With a weight of 3650 grams, the Voyager 3 is one of the heavier drones on the market. This drone is also about average in size, with a wingspan of 346 mm. The Voyager 3 is also really fast when compared to most drones and has a maximum speed of 22 m/s. As far as the color goes, this drone is only available in white. Hubsan is well-known manufacturer of low-cost drones and they have recently released Hubsan H502S, a very interesting and affordable drone featuring Follow Me mode. 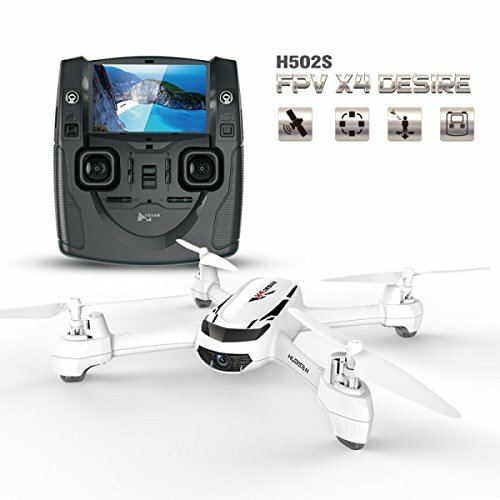 It is important to note that the H502S is the first brushed mini drone with FPV and GPS. The H502S is slightly below average in weight and posses a flight time of 13 minutes. It is equipped with a powerful 610mAh battery and can be flown up to 300 meters away from you. This drone also has a 720p resolution camera and FPV transmission directly to a 4.3” FPV screen. The 720p resolution on the H502S means that it can capture in HD. As far as the color goes, the H502S is only available in white. The H502S is not self following drone. However, it does have a Follow Me function. 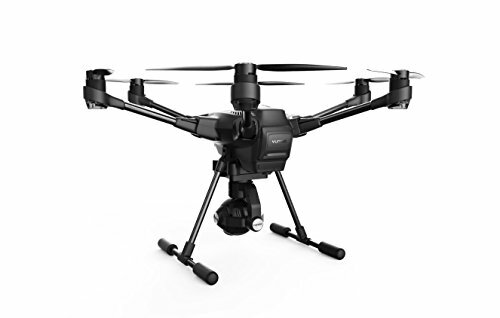 On top of all this, this drone packs a wide set of very useful features, such as GPS, Headless Mode, Failsafe Mode (when battery is low, drone automatically lands), Automatic calibration and Altitude Mode (flyer can focus on the camera because drone locks on a specific height). All these features and specifications make H502S a really amazing and affordable drone with Follow Me function. Blade is another well-known drone manufacturer. They aim at high-quality cameras, powerful motors, autonomous features and stable hover. They have produced a number of high-quality drones and the Blade Chroma is an excellent example of this high-quality products. The Blade Chroma is equipped with many useful features, such as AP Mode (for advanced flyers), Adjustable Flight Boundaries, Follow Me Mode, Advanced SAFE Plus technology, Tracking Mode and Smart mode. It is very important to note that there are several different packages of Blade Chrome. Some may include a CHO2+1080p camera, or CGO3 4K camera or another with a 3-axis gimbal for GoPro camera. The camera angle can be controlled remotely from your ST-10+ transmitter. This transmitter also has a FPV monitor (plus OSD) built-in on the remote. The Chroma can be flown about 400 meters away from you. On top of all this, the Blade Chroma is powered by a powerful 11.1V 5400mAh Li-Po battery and has a flight time of around 30 minutes. This drone is one of the heavier drones on the market (1300 grams) and it is also above average in size (wingspan 400mm). As far as color goes, the Chroma is only available in white. The Phantom 3 Professional is the third drone from DJI’s Phantom series and it is probably one of the most successful commercial drones available on the market. The Phantom 3 is equipped with a powerful 17.4V 4480mAh Li-Po battery and has a flight time of around 23 minutes. It has a maximum speed of 16 m/s and it is above average in size and also one of the heavier drones in the market. This drone is controlled via a DJI Devo remote controller. It can also be controlled via a tablet through a free app available for both iOS and Android. You can operate your drone up to 2,000 meters away from you. As far as color goes, this drone is only available in white. The Phantom 3 marked the first time the DJI were built a drone with a high-quality camera designed by DJI itself and it was a pretty challenging project for this company. The built-in camera on the Phantom 3 Professional, with 12MP of resolution, is able to shoot very high quality photos. The camera also has a professional f/2.8 lens with 94º field of view and it is placed on a 3-axis remotely controlled gimbal. The Phantom 3 Professional also includes some very nice features. The most interesting and useful features are FPV, Auto Pilot, GPS-Assisted Hover, Follow Me Mode, Return-to-Home, Vision Positioning System, Altitude Set Height and Automatic Flight Logs. note: Lily drones have been cancelled and the company is shut down – more on this here. One of the best and most interesting waterproof throw and go flying camera drones is definitely the Lily. We can call Lily auto following drone because it flies on its own, completely autonomous. This drone is ideal for sporting activities because the only thing that you need to do is to place the included standalone easy to carry device in your pocket and the drone will follow it. The Lily is lightweight and extremely portable and its waterproof feature makes it a perfect drone for outdoors events in water. With 12MP of resolution, the Lily is able to capture very high quality images. The camera is also capable of shooting in 1080p and the Lily can provide high-level video for many purposes. Flight time is about 2o minutes, powered by a built-in Lithium-Ion battery. As far as color goes, this drone is only available in black. The AirDog is known as the action sports drone and it was particularly designed for autonomous Follow Me mode flights to match all your sporting needs. Due to its lightweight and retractable arms, the AirDog is also very easy to carry. The AirDog Drone does not come with a built-in camera. However, it is compatible with GoPro cameras that can easily attach to the drone’s main body via a compatible stabilization gimbal. The Airdog is a drone which automatically follows AirLeash device (can be used for surf, skate, football, BMX, etc) and uses a Gopro camera to shoot high-quality footage. All these features make the AirDog a perfect drone to photograph and record the most radical sports with ease. The drone’s maximum control range is only 250 meters and a flight time is about 18 minutes. The drone is equipped with a powerful 14.8V 5600mAh Li-Po battery and has some amazing features like Lap or Track recording. These features can be configured and uploaded from a Smartphone app. The only problem is that the AirDog does not come with a remote controller. Instead the drone follows and can be controlled by this AirLeash standalone device. As far as color goes, the AirDog is only available in yellow. 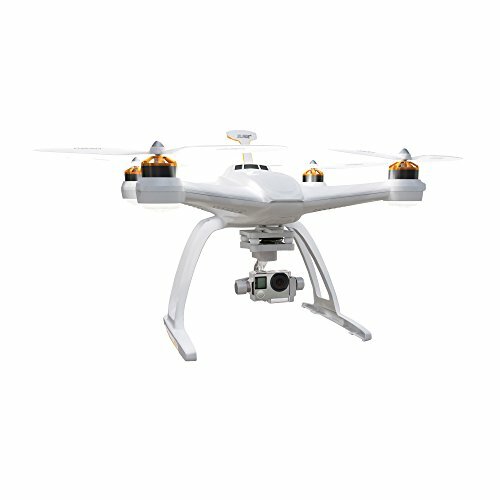 Phantom 4 is a very powerful drone manufactured by the renowned DJI. This drone is their most recent upgrade to their Phantom drone series and due to the drone’s ease of use and advanced functions, it has already become a global success. With powerful innovative features and a high-quality camera, the Phantom 4 aims to be a fully autonomously drone. The Phantom 4 is very easy to carry because it has foldable arms and it can fit easily in a backpack. The drone is powered by a powerful 15.2V 5350mAh Li-Po 4S battery and has a flight time of about 28 minutes. The built-in camera on this drone, with 12MP of resolution, is able to capture very high quality images. Also, the Phantom 4’s 4K resolution is perfect for recording professional-level video. This DJI camera is capable of competing with GoPro Hero4. This drone is about average in size, with a wingspan of 350mm. This drone weighs 1380 grams and it is one of the heavier drones on the market. It is important to note that this drone includes all the latest high-quality drone software and hardware. The best thing is that the updates are constantly being made. 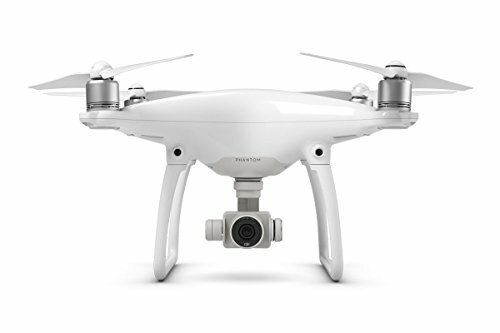 As far as color goes, the Phantom 4 is only available in white. The Phantom 4 has many amazing features. The most interesting feature for us is definitely Follow Me mode which works accurately. The drone also has other useful features, such as Auto-Pilot system, Smart Return Home (safely returns drone when it runs out of battery or goes out of range), TapFly (tap on the map and the Phantom 4 will fly towards that position by itself), Vision Positioning System, Dual Satellite Positioning System and Obstacle sensors. 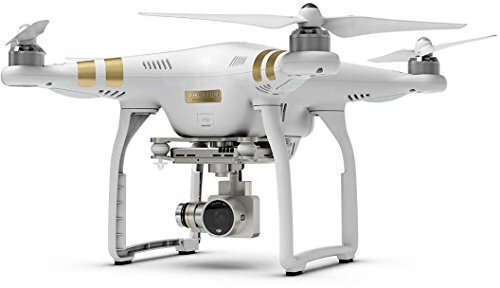 The DJI Phantom 4 is extremely easy to fly and it is unquestionably one of the best drones available in the market today. The Yuneec Typhoon H is a very powerful hexacopter (six motor drone) developed by Yuneec. The built-in camera on the Typhoon H, with 12MP of resolution, is able to shoot very high quality photos and also the Typhoon H’s 4K resolution is perfect for capturing professional-level video. As you can see, this drone is aimed at videography and photography. The Typhoon H is equipped with a powerful 14.8V 5400mAh Li-Po 4S battery and has a flight time of about 25 minutes. It also has a long control range of 1600 meters maximum flying altitude of 122 meters. As far as color goes, this drone is only available in black. The Typhoon H features Team Mode, Follow Me mode, Journey Mode, ST16 All-in-one-controller, Point of Interest mode, Orbit me and Integrated autonomous flight modes. There’s also a Dynamic Home-Return system (the drone is able to self-pilot back to its start) which works perfectly with Follow Me mode. As you can see these drones give you many opportunities to film some very unique aerial shots. These are the best drones that can follow you currently available on the market. They are not the best just because they have Follow Me mode, they are also highly rated in the drone flying community. You can use them for something other than just filming, for example enjoying the good old flying. Choosing the right drone for you from these 10 on the list depends on what you want from it. Whatever drone you choose, it is very important that you fly it safely and responsibly.